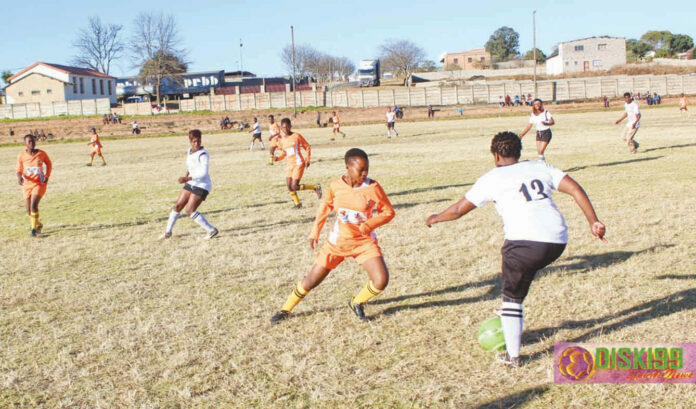 According to Mr Ntokozo Simelane, of the MLFA (Mkhondo Local Football Association), the office of the Gert Sibande Football Association is planning for the registration of clubs and players to prepare for the new season of the Women’s Regional League, set to kick off this month. This league is divided into an A– and B-Stream, due to the vastness of the particular region. Stream-A consists of clubs from Pixley ka Isaka Seme LFA, Lekwa LFA, Govern Mbeki LFA and Dipaleseng LFA while the B-stream will consist of clubs from Mkhondo LFA, Chief Albert Luthuli LFA and the Msukaligwa LFA. The B-Stream was kept alive during the last season due to the hard work and dedication of Mr T. Mdluli, the Chairperson of the Women’s Football Committee at the MLFA. He is also the owner and coach of Hintalo Stars FC. Two promoted clubs, namely Hintalo Stars FC (of Mkhondo) and Silindile FC (of Chief Albert Luthuli) are expected to enter their development teams for this tournament, which will continue to further develop their players for senior teams. Other clubs that are expected to register include Moleko Stars FC, Dube United Ladies FC, Losta Stars Ladies FC (all from Mkhondo), Breyten Stars (Breyten), Destruction Girls and Mighty Little Girls FC (both from Chrissiesmeer in Msukaligwa Municipality) and MT Valencia (Fernie, Chief Albert Luthuli). More information pertaining to the Regional Women’s Football League will be published in due time.